No one ever wants to be the victim of an auto accident. Not surprisingly, being in an accident as a pedestrian that was struck by a runaway vehicle can be even more problematic. This is exactly what happened at this year’s SXSW festival in Austin. A crowd of people was standing outside of a concert when several were struck by a car. Among those who were injured was a young couple from Fort Worth who were attending the festival Deandre Tatum, 18, and Curtisha Davis, 17, both are students at Trimble Tech High School. Deandre Tatum was injured so badly in the accident that he has been placed in an induced coma, while Curtisha Davis has been hospitalized after breaking both her neck and an arm. Officials are uncertain just how long either of them will stay in the hospital. Every day that someone spends in a hospital means that by the time the medical bill is finally tallied, the price will likely be very high. Add to the expense of medical care, the loss of income as well. 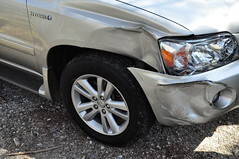 It is situations such as this that t makes having a Dallas car accident attorney on your side so important. An accident or personal injury attorney has all of the knowledge and experience that the victims of an accident need in order to bring a case to court. A good car accident attorney will fight, not only the insurance companies, but will make certain that justice is served and those who are responsible for your injuries are held accountable. You and your loved ones deserve to get everything that you need in order to fully recover from your injuries without the added stress of worrying about the financial issues that come after a serious accident. If you or a loved one has been seriously injured in an accident, call today in order to schedule a consultation with one of our attorneys. Find out what we can do for you. We’re here to help.